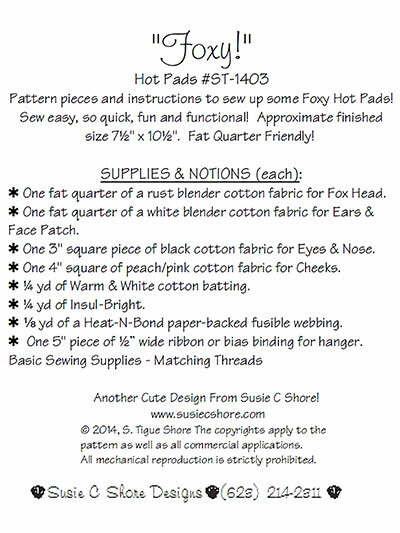 Stitch a fun and "foxy" hot pad! The smiling face on this adorable hot pad will make your heart melt and keep your hands from getting burned. 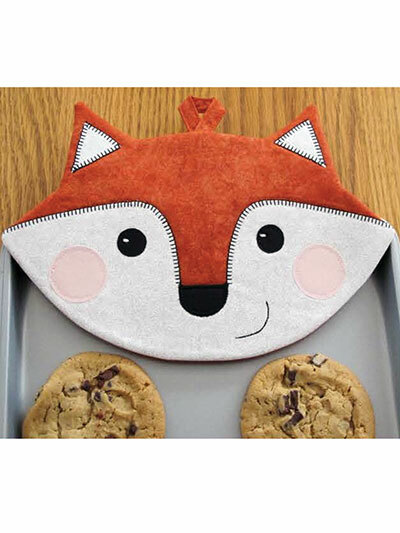 A quick and easy project that's also fat quarter friendly, you'll be able to stitch this little fox up in no time at all! Approximate finished size is 7 1/2" x 10 1/2" using 2 fat quarters -- 1 rust-colored fat quarter and 1 white fat quarter. This is so adorable. I have completed one as a gift for someone but as I can't bear to part with him I have to make another one! Would love more patterns along these lines! What did the Fox Say ... buy me! Love it my children love them too!